Happy Healthy Vegan Friday! My co-host Kimmy and I are excited to see some Halloween-themed recipes this week! 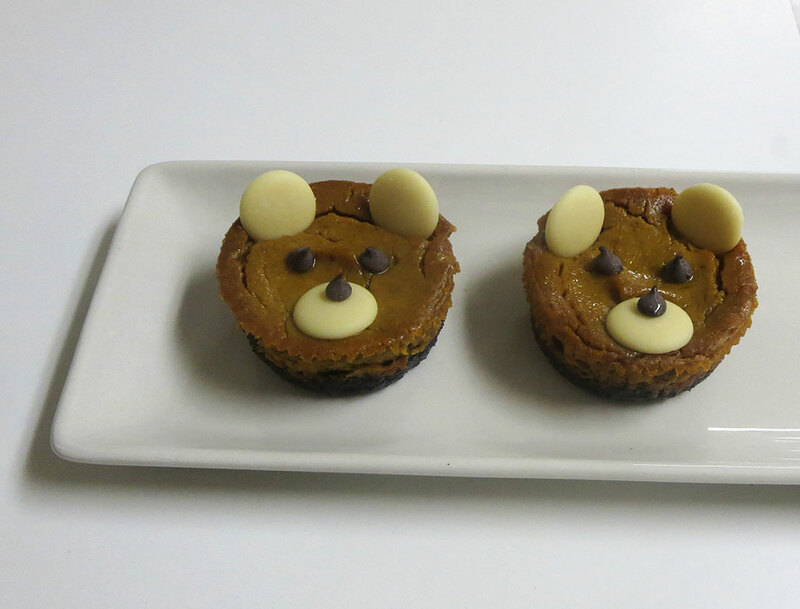 I know I’ve been working on my Halloween recipes, and I will continue to do so right up until the end of this month. This week, Kimmy and Luminance skincare have a giveaway for you!!! All you have do to enter to win some of these all-natural, vegan products is to ask a question about Luminance in the form of a comment, either here or on Kimmy’s blog. The contest ends on Wednesday night (two days before Halloween), and there will be 2 winners that will be announced next Friday, so check back on Healthy Vegan Fridays next week to see if you’re the lucky winner. I know you won’t want to check on Friday because it’s HALLOWEEN, so the day after will be fine. Am I the only one who doesn’t know what capsicum is? If I had been making this recipe, I might have omitted the ingredient entirely out of ignorance, and it could have made it taste less delicious! Regardless, this post is cute, if just for the lunch box dishes (which I want, whether they’re “not for adults” or not). Although, I would need 354859 of them because I’m a huge piggie. Coconut bacon must be the new kale chips. Seriously, everyone and their mom is talking about this stuff. I guess I’ll need to make Megan some bacon cookies with it sometime, since I love her. This pie recipe looks like it’s actually a mashup between pumpkin pie and sweet potato pie. It definitely meets the criteria for healthy. My pumpkin pie recipe I made this year is most certainly NOT this healthy. This week, since I’m still perfecting my pumpkin cheesecake recipe, I’ll share with you the picture of the pumpkin cheesecakes I brought to work on National Pumpkin Cheesecake day. They were trying on their halloween costumes. But you’ll have to wait for the recipe until I make it again (and maybe again) and get the recipe perfect. Before we see what healthy vegan recipes you all have, I wonder how many of you attended the Vegan Beer & Food Fest last weekend in SF. I really need to only go to these event with a minimum of 7 friends (who like to share) from now on. Because, when I don’t, I never get to taste all the things I want to try. So, if you’d like to sign up to be one of those 7 people, please let me know. I’m currently taking friend applications. Okey dokey! 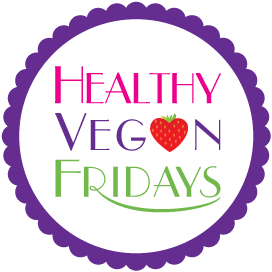 Use the link below to submit your vegan Halloween-themed blog post to Healthy Vegan Fridays!